Prominent & Leading Manufacturer from Ahmedabad, we offer multicolor masterbatch. Quality is the main concern, We are making, exporting and supplying a quality range of Multicolor Masterbatch in India. These are used in diverse applications. These are made by using supreme quality raw materials and cutting-edge technology. 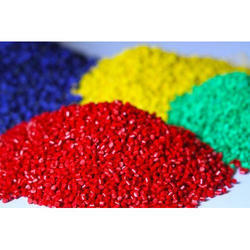 Furthermore, our offered Red Masterbatches are accessible at very competitive costs range. Looking for Multicolor Masterbatch ?